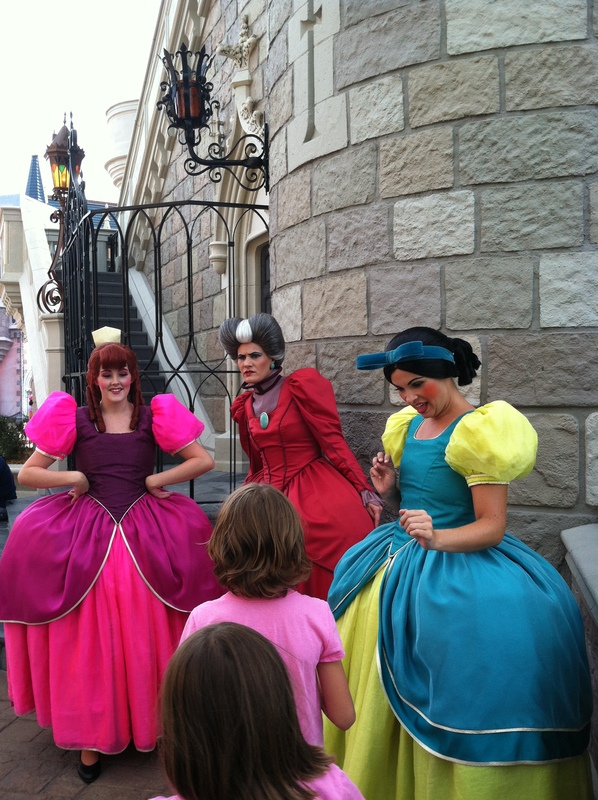 We had the opportunity to see Cinderella’s stepfamily on this past trip. They were great to see and very interactive. Anastasia and Drisella were goofy and funny and whiney and great with the kids. My girls even showed them how they can fight like the sisters. 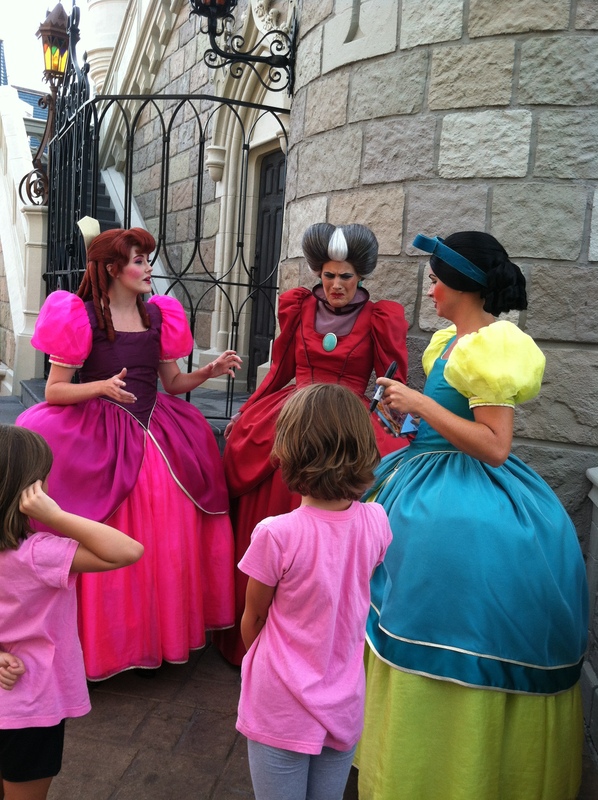 Lady Tremaine was haughty and not overly interactive, but I am pretty sure it was a man! If you are at Magic Kingdom and walk to the castle next to Castle Couture store, you will find them there off and on from 9-11:55. They Tremaine family trades off with the Godmother, so you win either way! This is one of the few “villains” you can find in the parks outside of the Mickey’s Not So Scary Halloween Party. This entry was posted in Fun Disney Stuff, Travel tips, Uncategorized and tagged anastasia, castle, characters, cinderella, drisella, magic kingdom, meet and greet, stepfamily, tremaine, villains by Mouse Ear Momma. Bookmark the permalink.